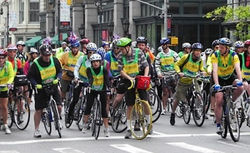 The New York City Amateur Radio Emergency Communications Service (NYC-ARECS) provided emergency communications support Sunday May 6, 2012 to the annual TD Five Boro Bike Tour, Americas largest cycling event. This event is one of a dozen that NYC-ARECS plans to provide support to, as part of its annual Public Service Event calendar. Click here for the original press release. Photos: Above: NYC-ARECS members Jose Rivera on the FDR Drive in Spanish Harlem and John Kiernan in Astoria, Queens. Right: Charles Hargrove in the EOC. NYC-ARECS pre-stationed communicators across New York City before the start of the bike tour. The communicators assisted with race traffic & status reports, reporting of missing and found children, requests for medical assistance, observations of the ferry, and other matters which affected this New York City annual event. 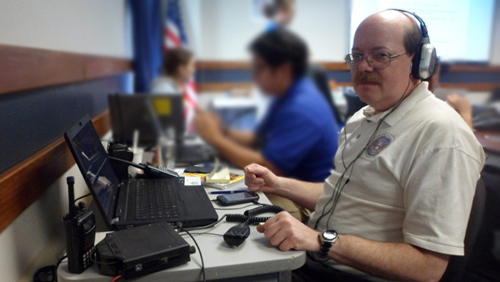 NYC-ARECS also had a representative in the Emergency Operations Center at Ft. Wadsworth in Staten Island, where information was rapidly shared and obtained with a joint team that helped coordinate the days activities. The team, based at the US Coast Guard facility, was lead by representatives of Bike New York and supported by the NYPD, FDNY, Jamaica Hospital / EMS, Triborough Bridge and Tunnel Authority Police, the National Park Service, US Park Police, and the US Coast Guard Police Department. 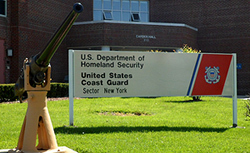 NYC-ARECS utilized Automatic Packet Reporting System (APRS), a digital communications information system which was configured in a way so that the real-time location of the Staten Island Ferry could be monitored. The ferries were used to shuttle tens of thousands of bike riders across NY harbor. 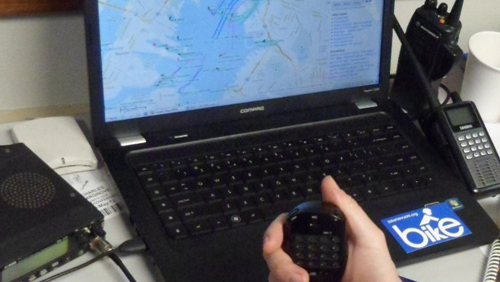 Close up of the APRS locating system used by NYC-ARECS to follow the progress of the Staten Island Ferry. 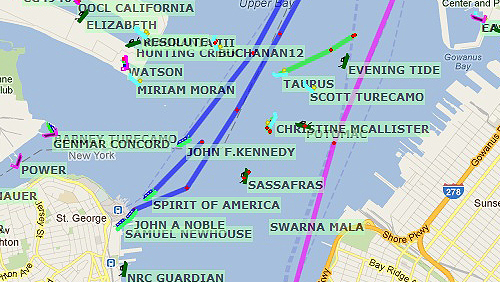 Note the "John F. Kennedy" in the middle of the image, that is one of the day's active ferry boats--one that can hold 3,500 passengers per trip. Knowing where the location of the boats were, allowed for planning on where large groups of people were or would be.